How Do Different Storm Categories Affect Roofs? Any storm repair specialist knows that code-compliant asphalt shingle roofs can normally withstand the effects of Category 2 storms. But, using fewer nails and applying zero starter strip components at the rakes or eaves increase the chances of blow-offs during winds of greater intensities. At best, strong winds can affect the weathertightness of asphalt shingles. At worst, they can cause decking boards to come loose. However, a wind speed of 110 miles per hour can still damage your roof by attrition. You may not experience active leaks right away, but don’t underestimate the power of persistent gales and relentless gusts. What Are Some of the Red Flags? 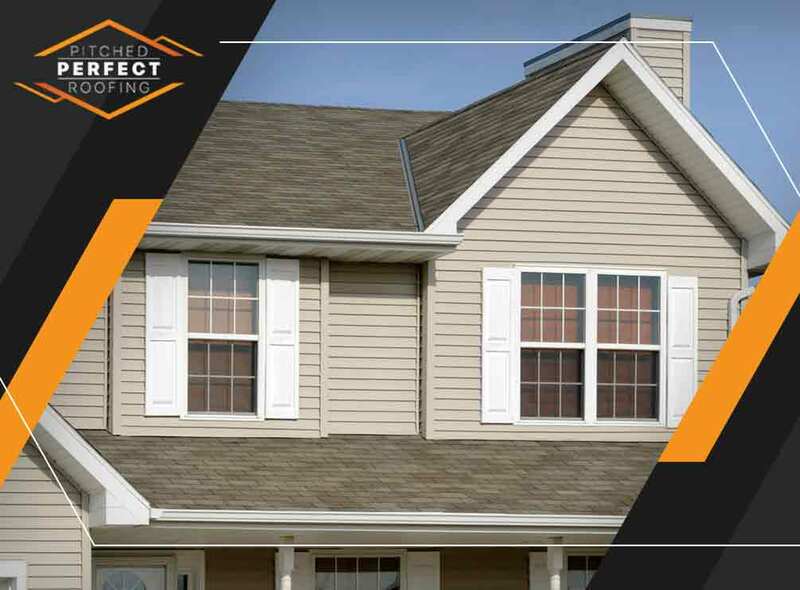 As with other roof and siding repair experts, Pitched Perfect Roofing confirms that missing shingles are the most compelling evidence of wind damage. The sight of your yard littered with blown-off materials is indicative of nature’s wrath overpowering your roof. Thin, horizontal marks of granule loss indicate storm damage, too. They’re likely caused by loose shingles that flapped in the wind and rubbed against the surface of the pieces above them. How Do You Address Wind-Related Roof Problems? Schedule Emergency Repairs – Keep your eyes and ears open during storms, and look for signs of wind damage. Although roof problems can’t be fixed in the middle of inclement weather, we can tarp the affected areas to prevent further destruction. Trim Nearby Tree Branches – As a preventive measure, cut overhanging branches to help decrease your roof repair costs. The trees in your yard can dislodge the protective granules of asphalt shingles, making them more prone to water intrusion. Deal with any wind damage to your roof with a sense of urgency. Call Pitched Perfect Roofing at (240) 200-0298 to schedule an inspection and to get a free estimate in Silver Spring, MD.